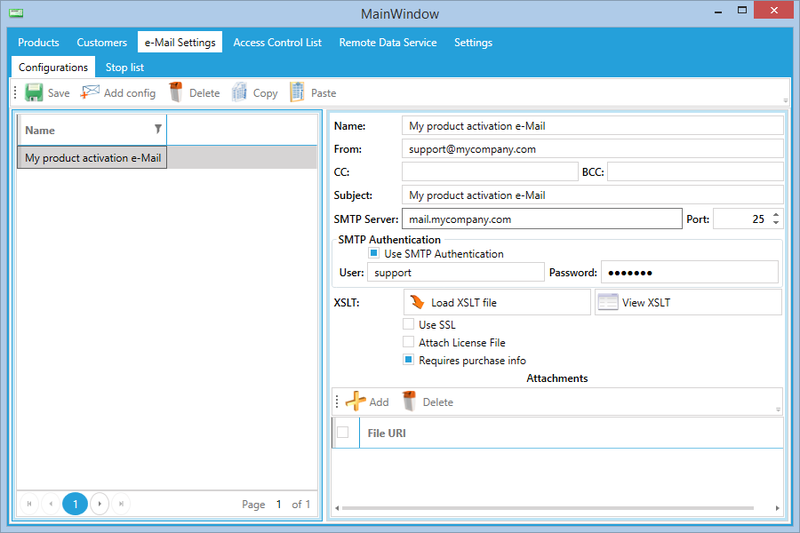 Activation Web Service can automatically send e-Mail with licensing information to user. It can be either license specific information like “Unlock Key” (when AWS is used in conjunction with e-Commerce services) or “Activation Key” in case of the successful license activation. Manco License Manager allows you configure which letter should be sent in every case for every version of every product. e-Mail configurations can be shared if necessary. You can specify whether the license file should be included to the e-Mail. If you’d like provide your customer with some additional files then you can specify attachments will be included to the e-Mail.